Lady Gaga being Italian herself, felt at home making a grand entrance arrival to the 75th Venice Film Festival. The 32-year-old entertainer was perched in a glamorous pose atop a water taxi in a slinky black dress. Lady Gaga looked like a combination of 2018 fashion diva and classic movie star — quite appropriate, since this trip to the land of Gaga’s own ancestors is for the Friday premiere of the highly-anticipated A Star Is Born. The film starring Gaga and Bradley Cooper is set for release on October 5. Gaga was all smiles as she cruised into the Palazzo del Cinema di Venezia on the side of the boat, showing off her fit figure in a chic black Jonathan Simkhai resort cocktail dress and matching black pumps. 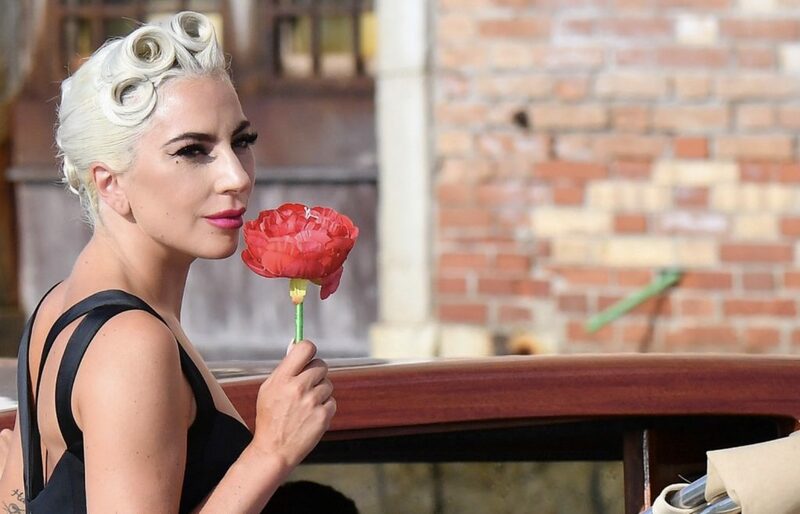 The GRAMMY winner, whose boyfriend, Christian Carino, accompanied her on the water, was also photographed blowing kisses to fans and sniffing a red flower before hopping off her ride. Founded in 1932 as part of the Venice Biennale, the Venice Film Festival is the oldest film festival in the world and considered by many to be the most traditionally glamorous. The backdrop beauty of Venice with Hollywood stars navigating the city by boat, have turned its canals into floating red carpets, creating the perfect for a photo-op for photographers of celebrities.